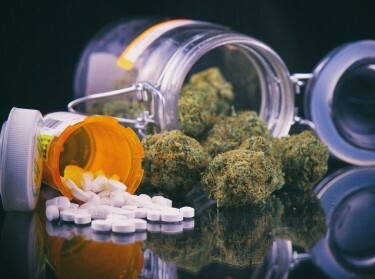 The association between medical marijuana and lower levels of opioid overdose deaths—identified previously in several studies—is more complex than previously described and appears to be changing as both medical marijuana laws and the opioid crisis evolve, according to a new RAND Corporation study. The report—the most-detailed examination of medical marijuana and opioid deaths conducted to date—found that legalizing medical marijuana was associated with lower levels of opioid deaths only in states that had provisions for dispensaries that made medical marijuana easily available to patients. Opioid death rates were not lower in states that just provided legal protections to patients and caregivers, allowing them to grow their own marijuana. In addition, the association between medical marijuana dispensaries and fewer opioid deaths appears to have declined sharply after 2010, when states began to tighten requirements on sales by dispensaries. “Our findings are consistent with previous studies showing an association between the legalization of medical marijuana and lower deaths from overdoses of opioids,” said Rosalie Liccardo Pacula, co-author of the study and co-director of the RAND Drug Policy Research Center. The study was published online by the Journal of Health Economics. Researchers from RAND and the University of California, Irvine, analyzed information about treatment admissions for addiction to pain medications from 1999 to 2012 and state-level overdose deaths from opioids from 1999 to 2013. They also identified state laws legalizing medical marijuana, examining provisions such as whether the regulations made marijuana easily accessible to patients by allowing dispensaries. When the researchers narrowly focused on the time period from 1999 to 2010 and replicated a model used by other researchers, they obtained results similar to those previously published, showing an approximately 20 percent decline in opioid overdose deaths associated with the passage of any state medical marijuana law. However, these general findings were driven by states that had laws allowing for loosely regulated marijuana dispensary systems. When researchers extended their analysis through 2013, they found that the association between having any medical marijuana law and lower rates of opioid deaths completely disappeared. Moreover, the association between states with medical marijuana dispensaries and opioid mortality fell substantially as well. The researchers provide two explanations for the decline in the association between medical marijuana dispensaries and opioid harm. First, states that more recently adopted laws with medical marijuana dispensaries more tightly regulated them, in response to a U.S. Justice Department memo saying it would not challenge state-level medical marijuana laws so long as dispensary sales were in full compliance with state regulations. Second, beginning in 2010, the primary driver of the opioid crisis and related deaths became illicit opioids, mainly heroin and then fentanyl, not prescription opioids. The study also found no evidence that states with medical marijuana laws experience reductions in the volume of legally distributed opioid analgesics used to treat pain. Even if medical marijuana patients were substituting medical marijuana for opioids in medical marijuana states, these patients did not represent a measurable part of the medical opioid analgesic market. The RAND study was conducted before any states had begun to allow retail sales of recreational marijuana. Support for the study was provided by the National Institute on Drug Abuse. Other authors of the study are David Powell of RAND and Mireille Jacobson of UC Irvine. David Powell, Rosalie Liccardo Pacula @PaculaRosalie, et al.